Further education some ideas YOU could be doing to further your education get them in your goals for 2018! This is the Riviera Firefly podcast your guide to essential Cote d’Azur Living. THE place where local business owners chat about their life journey and what lead them to the South of France. The show where we share top tips and essential ideas for living and working on the French Riviera. 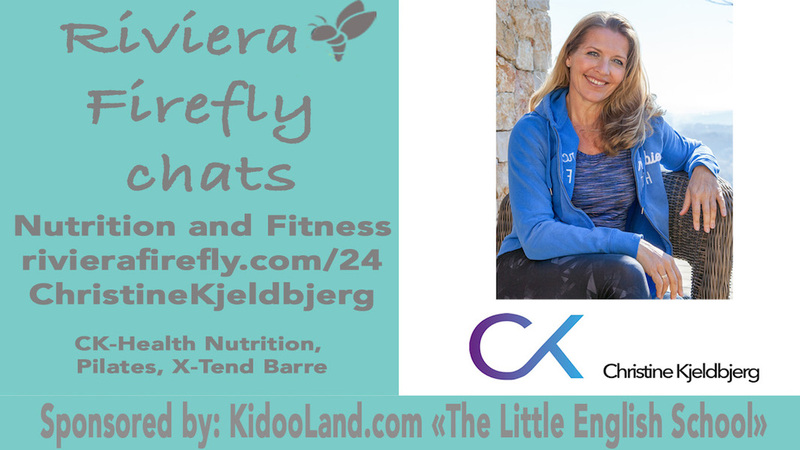 Today, I am excited to bring to you wisdom and insight from Christine Kjeldberg. She’s a wife, a mom, a fitness expert and a Nutritional Therapist who is committed to staying up-to-date on her education about health and wellness. When she’s not teaching Pilates and Xtend Barr classes or leading a Cleanse Reboot course, Christine is enjoying all there is to be had about Cote d’Azur living. From local fetes to meeting international neighbors, Christine knows that the best of life is about working through fear and trying new experiences. There is always more to learn and experience! Are you ready to take your health and wellness to the next level? Are you looking for ways to fill in some of those sneaky nutritional gaps for your children? Get ready to be inspired, because Christine has advice and tools for that, and more! I thoroughly enjoyed my conversation with Christine, and I know you will too! Christine shares how she made it to the Cote d’Azur, and the memories and experiences that most shaped her life. Nutritional Therapists are all about balance in body systems, and getting to the root of the problem. How can we get our teenagers to eat the foods they need to fill in the vitamin gaps. The difference between Pilates and Xtend Barr, and what it can do to help your body! Learn how to start your own Cleanse Reboot to get rid of your life’s toxins and save your liver! Go Mimosa Runners this weekend in the marathon! What’s next for Christine and her exciting health and wellness workshops. The ways in which Cote d’Azur living has transformed Christine’s life.